11 April 2018 – As technological innovation continues to revolutionise the business landscape, organisations are also grappling with newfound risks and unchartered challenges. PwC’s 2018 Risk in Review Study, “Managing risks and growth in the age of innovation,” shows how a distinct set of risk management practices can arm organisations to capture value from their innovation efforts and better manage related risks for further growth. 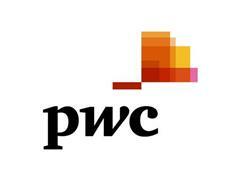 Surveying more than 1,500 senior risk executives ranging from chief risk officers, to audit/risk committee members, to CEOs at organisations headquartered in 76 countries, PwC’s study explores actions that risk executives are taking to achieve the appropriate risk-reward balance as they lean into innovation. More than half (60%) of those polled manage innovation risk very effectively or somewhat effectively – a cohort of the survey population which the study labels as ‘Adapters’. Adapters outperform their less effective peers in several areas including their level of influence over decision-making about innovation including implementing new technologies to develop new products (57% versus 18% of Non-adapters) and the value they say their risk management function brings (58% versus 18% respectively note significant value). Notably, Adapters are also two to three times more likely to express confidence in their risk management programme’s ability to effectively manage risk from new technologies including artificial intelligence and the Internet of Things than their less effective peers — and more likely to expect revenue growth. Given the many benefits of embracing innovation in a risk-conscious manner, PwC’s survey outlines five distinctions that separate Adapters and Non-Adapters. They engage early and often across the innovation cycle. Adapters are twice as likely as Non-Adapters to advise on innovative activities before the planning stage. They use multiple actions to address their risk exposure from new initiatives. Adapters more often use four or more actions ranging from revisiting objectives and strategy to sharing the risk than their less effective peers. They adjust risk appetite and tolerances with frequency. Adapters adjust the risk appetite for all eight innovative activities listed in our survey, and most often when creating new products outside their core offerings and implementing new technologies. They harness new skills, new competencies and new tools to support innovation. While 58% of Adapters report that they are bolstering their risk management capabilities by adding new skill sets, just 39% of Non-Adapters plan to do this. They monitor and assess effectiveness of risk management in multiple ways. 51% of Adapters use external parties to assess their risk management capabilities, while only 27% of Non-Adapters are monitoring their effectiveness in this manner. Organisations must understand that risk management and innovation go hand-in-hand. Innovation brings great opportunity. A keen awareness of the necessary actions to address both known and unanticipated risks that accompany innovation, can equip risk executives to succeed in this fast-changing environment. Risk executives should be engaged throughout the innovation lifecycle to effectively identify, assess, and manage innovation risk. To download a full copy of the report, along with additional related content, please visit: http://www.pwc.com/riskinreview.